According to the S&P/Case-Shiller Home Price Indices, home prices in 19 out of 20 metropolitan real estate markets rose in the past year. 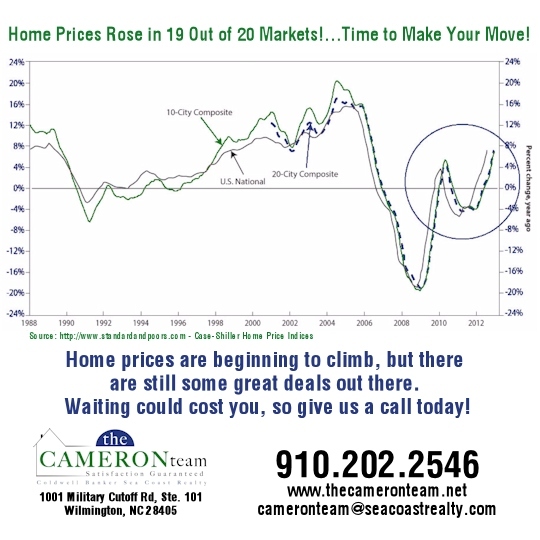 Prices nationally are predicted to rise an average of 5-6% in 2013. Waiting to buy may cost you!